This month is Mental Health Awareness Month. To me, it's a month where we celebrate our differences and uniqueness. 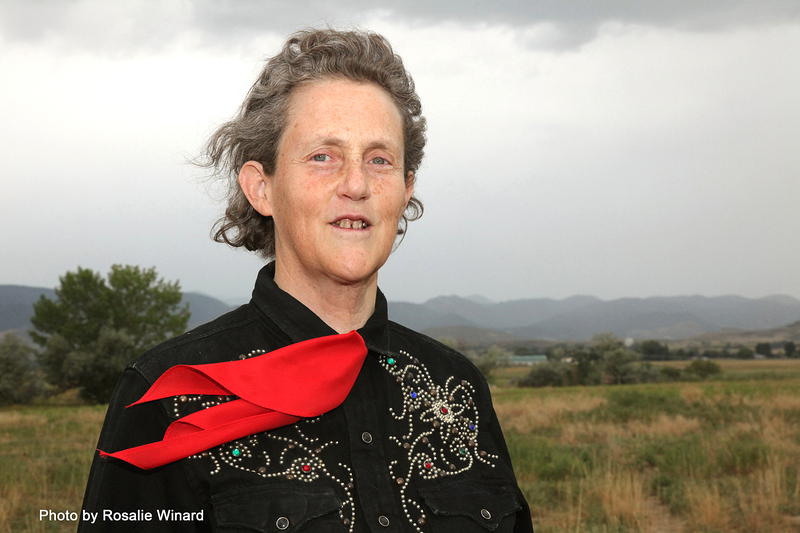 For my book Bouncing Forward: Transforming Bad Breaks into Breakthroughs, I got to meet Temple Grandin. Today she is celebrated as one of the world's pioneers in autism advocacy, a bestselling author and a successful business woman who runs America's top animal behavior consulting company, but when she was three years old a doctor diagnosed her as "brain-damaged" and recommended that her parents relinquish her to a mental institution. "If they had locked me up, I wouldn't be sitting here today," Temple says. "I probably wouldn't be alive. The worst you can do to a child with autism is to leave her to herself. My mother was lucky to find a good neurologist who referred me to speech therapy school." Temple was extremely fortunate that her mother's intuition was decades ahead of her time. Temple's life story highlights a number of the factors that are crucial for building resilience: a loving relative who believed in her, a highly developed gift for empathy, and a stunning resourcefulness in a world that ostracized her. The perception of autism and other changes in brain function has shifted dramatically since Temple was a child. Temple has been a pioneer in exploring the advantages that accompany overstimulation of certain brain regions. Aren't we often too quick in condemning people who process the world differently? One of Temple's greatest worries is that people like her are excluded from the places that matter: colleges, universities, work places. "Where is the next Einstein? Were he alive today, he would drive a FedEx truck, because he could not pass his graduation. Einstein did not speak until he was older and he was kicked out of school, but he still managed to get a Nobel Prize!" Temple may be an outlier in that only 10 percent of persons with autism are savants (meaning they possess outstanding mental capabilities), but psychologists have come to admit that they severely underestimated the general intelligence of people on the spectrum. These abilities don't just characterize an outstanding savant such as Temple, but many others as well who are too easily labeled as "crazy." If by crazy we mean people who perceive the world profoundly differently than "neurotypicals," we need more crazies in the world! "Don't get me wrong," Temple cautions. "I'm not saying that autism is a great thing and all people with autism should just sit down and celebrate our strengths. Instead, I'm suggesting that if we can recognize, realistically and on a case-by-case basis, what an individual's strengths are, we can better determine the future of the individual." Thorkil calls his approach the "dandelion model." "We call dandelions weed when they pop up in our lawn, but the spring greens can make a tasty salad if we nourish them." Similarly, the apparent shortcomings of people with autism (for instance, their attention to detail, and their directness) can become sought-after strengths. "It is up to us to decide," Thorkil told me, "if we view dandelions as a weed or as a nutritious herb with many values." Software giant SAP just hired 60 people with autism, and Thorkil's ambitious vision is to create 100,000 jobs for people on the spectrum in the next 10 years. Ultimately, Thorkil's aim goes beyond creating jobs: He wants to convince the "neurotypicals" that people are more than their disabilities. "I wish people were more curious rather than keeping their distance. Be curious -- find out what their world is like! When you spend time with people with autism, you learn to see the world from a vulnerable perspective. We are all dandelions." Michelle Dawson et al., "The Level and Nature of Autistic Intelligence," Psychological Science 18 (2007): 647- 662.